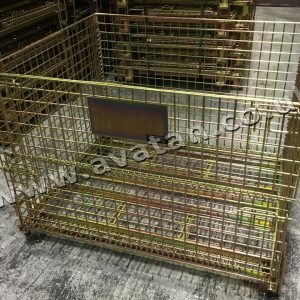 Ref: Secure Lockable Cage Pallet with Half Gate. 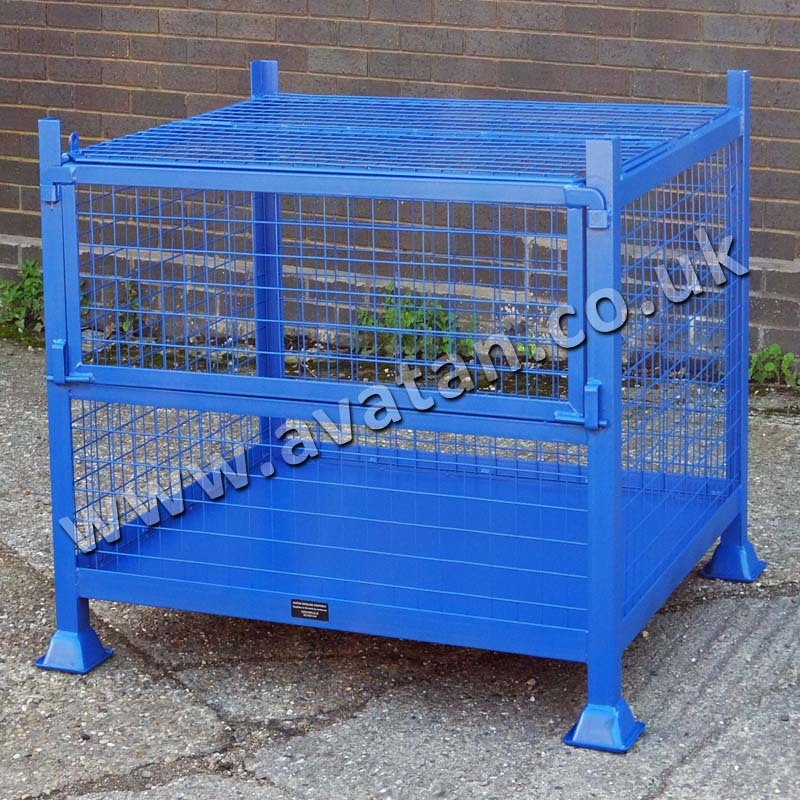 Secure steel cage pallet with sheet base and mesh sides. 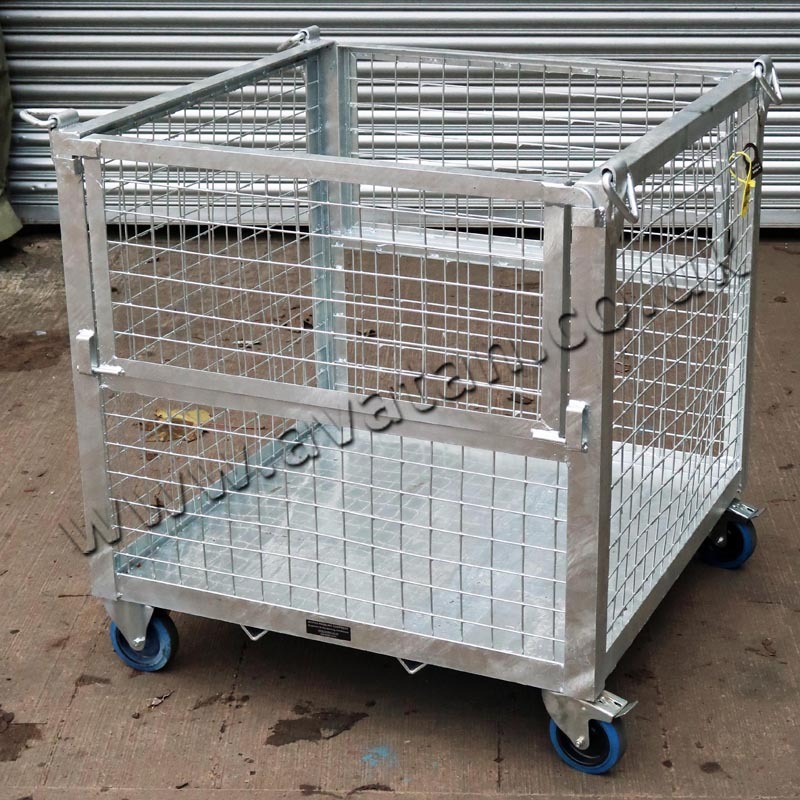 Fitted with a half drop mesh gate offering full visibility to contents. 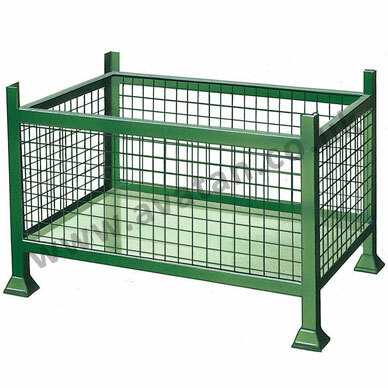 Supplied with hingeing or removable mesh lid securable by padlock or seal. Closure of lid and gate may be secured by single padlock. Stackable stillage on standard pallet feet. 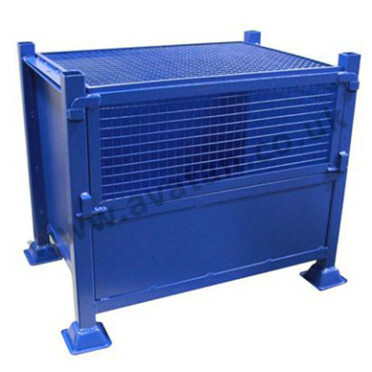 Stillage suitable for 1000kg uniformly distributed load per pallet stackable four units high. Manufactured to order, these steel stillages may be produced any size in large or small quantities.